I loved my father but I was always surprised that he never took his own life…and he certainly tried a number of times. Being that I didn’t live with him, I only ever witnessed one attempt when he doused himself with gasoline while holding a lighter prepared to ignite himself. I certainly witnessed a number of the long depressive states when he wouldn’t leave bed for weeks at a time even to use the bathroom. This is why he received disability from the state for his mental health issues and didn’t work. I’m not sure how far back bi-polar depression issues have plagued my family but my grandma took her head off with a shotgun when I was a child. I believe one of her parents committed suicide as well from memories of discussions we had as a child. But it’s all a little hard to confirm now as the only remaining members of my family on that side is my children and myself. This story starts in the small town of Hyampom nestled in a valley in the Trinity Wilderness of Northern California. A small ex-mining community settled amounts some beautiful scenery where the North and South forks of the Trinity River come together. With the Trinity Alps close by to this hard to reach town of 200 people it made for a great backdrop to this part of my child. Before my 1st year in grade school we rolled into town with the whole family and all our belongings fitting in a 4 door Buick. There wasn’t much of a plan as we ended up down by the river that first day picking pine nuts from the large pine cones to snack on while my mom and step-dad figured out the plan. We spent the first two weeks in tents hiding from a rainstorm pounding down on us. These were the little tiny green pup tents that barely fit one person each, not the nice large tents everyone has today. Water leaking in from the bottom when drainage ditches were not dug properly or overflowed. After that two weeks we ended up in a small house down at the ‘mill camp’. This was an area of housing that had been put up to support a mill that had run in the area in the past. We ended up skipping out on that house later on when they found a cheaper house, and by that I mean free down the road. It was an abandoned home without water, electricity, or silly things like doors or anything else besides empty framework for that matter. But that was later. That first winter was spent at the Mill Camp and I settled into school quickly. Up to this point I was pretty used to off-grid living prior to this move so the house was a huge step up. Dad even made a dining room table by splitting a bunch of logs down the center with his chain saw. At school I made friends and began staying over with my best friend at the time quite frequency. Why wouldn’t I? It was fantastic stating in a real home with TV and great meals and all sorts of things I wasn’t used to. After awhile my parents started getting embarrassed about how often I was staying over. After a week of me staying every night at my friends house my parents told me I had to come home with them for the night. I remember being quite upset and throwing a tantrum and arguing with them about it. This was quite unlike me. 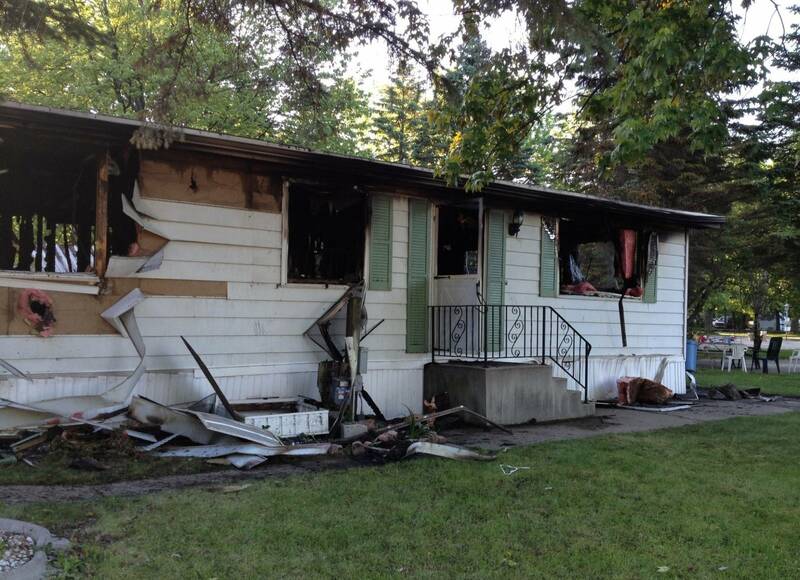 That night my friends home caught on fire and the entire family was caught in blaze. Obviously this was quite devastating for me. My mother tells me I barely spoke for a year following this instance. I became a bit of a loner at this point. During the summers we would move out of the house to save money and moved out into the mountains. This also made it easier for my parents to tend to their crops and cut firewood, which were their primary income sources. Dad would poach deer and we learned to distinguish different types of mushrooms to forage for in the area. I used to love the drive up into the mountains, as it was old gold mining area. If I looked out into the trees along the road I could find the areas were sections of the tracks still remained from the carts used to move material that ran down the mountain. From our camp that was off a side road of the main dirt road up the mountain we cold see the main road. That summer after 2nd grade we saw a string of state vehicles coming up the mountain. Mom and Dad took off into the woods and I was told to stay with my siblings. The police showed up and took all of us into their vehicles. I still remember sitting in the front of police vehicle while my sisters and brother sat in the back bawling uncontrollably. We were all put in foster care and split into different homes. This was a challenging time for me and I spiraled further into being a loner and spending the majority of the time ‘in my head’. I had no friends and avoided everyone at school. I interacted with the other kids in the household I was in but that was it. The only friend I remember having was a pea pod vine. We each planted pea pods in class and were tasked with nurturing them to see who’s would grow the largest. I made sure mine was taken care of with watering, sunlight, and would even whisper words of encouragement to it. While I had no friendships I watched that pea pod vine explode. Everyone else’s either didn’t grow or only grew a few inches mine grew by the foot and had to be strung up after awhile to support its growth. The nurturing and growth of the vine however was in stark contrast to what was going on inside me. After some court battles mom and step-dad won and were able to get us back. They had moved to Central Oregon and were staying at my stepfathers mother’s house in Lapine. She was in the hospital with cancer. My sisters and me joined them and my brother unfortunately ended up under custody of his father. This was a nice comfortable year living in a nice home and going to school like a normal kid. I was able to make a friend and school who ended up being quite helpful when I broke my arm. He would do all my writing for me while I tried to learn to write with my left hand. Or so this is what I’m told as he died and I honestly don’t remember him at all. It’s like death and or other tragic instances would come up every time I started settling into a normal life routine. And these are just the highlights and doesn’t go into the trauma of living in the environment I did or around routine drug and alcohol abuse. 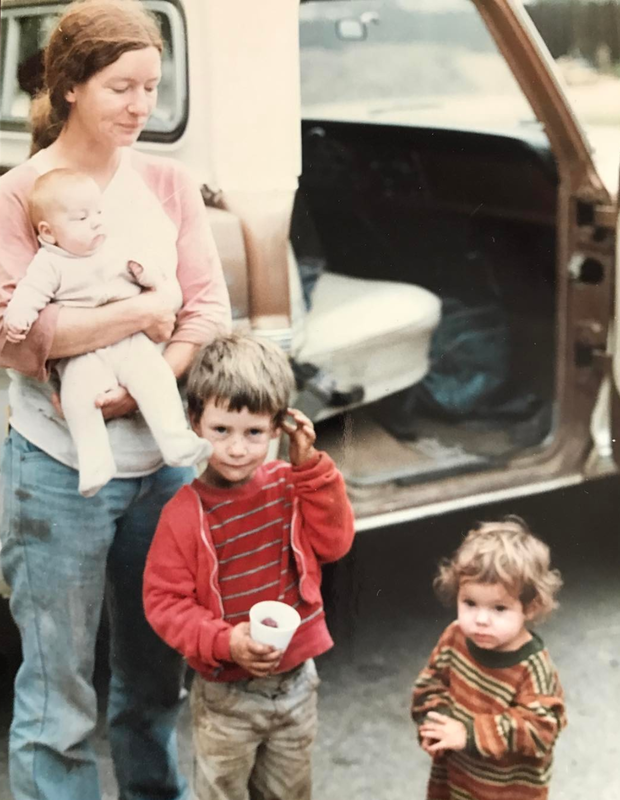 My stepfather’s mother passed from cancer that year and we lost the home and my parents fell back into their old habits of running from society. This time they kept things legit with focusing on mining and woodcutting and we ended up in the mountains and deserts of eastern Oregon. I also fell right back into my loner ways with sadness and depression filling a lot of my time. At this time I did start finding the value in physical exertion for managing my emotions. I would go for hikes though the mountains till exhaustion or the setting sun made me turn back. On occasion I would get lost and give myself a good scare. During the school year we had a home in small town out in the desert that had a one room school house. I would go run laps after school till I couldn’t run anymore. One time I tied a blanket to the front of my single speed bike and took off for the mountains to spend the night. Later I started doing jump squats and pushups by the hundreds every day till my body couldn’t move. By 7th grade we made our way back to LaPine and were camping down by the river or living in a small shack that lacked utilities. In middle school this certainly didn’t help that loner. By that time you start to smell and kids also get meaner. So smelling from infrequent showers and wearing dirty outdated clothing doesn’t help with popularity. I would go from one class to the next and sit outside the door till it opened so I could go in. At this point a couple big things in my life happened. My step-father won a disability suite about a broken arm from about 15 years prior that never healed. The bones had been rubbing against each other and worn a ½” gap between them in his arm from running a chainsaw or other manual labor. This allowed him to get surgery to graft a section of bone between them and pin it together as well as a couple thousand dollars. That money was promptly put as down payment on dilapidated mobile home. It wasn’t really livable and was later burned down by the fire department. But it was great for us with running water and electricity. We hung up sheets to cover all the empty door openings in it and built a kitchen counter with some 2×4’s as it didn’t have a kitchen. The second large thing was a gangly red head dude approached me at school and told me to come join him and a few other people for lunch. In addition to helping me create some newfound friends he later convinced me that we both needed to join the track team. And this is when I discovered sports. And with sports I quickly discovered lifting weights. I was working on the side splitting wood and mowing lawns for the old people in the neighborhood. Every bit of money that I was able to salvage over what my parents ‘borrowed’ for beer money I would scour the nickel adds for weight lifting equipment. I collected everyone’s old concrete plastic coated weights and those old hollow barbells with plastic sleeves. I filled up my bedroom and the back porch with them. I was very confident in myself in everything except my ability to interact with others. My upbringing did not allow for the same level of social development of others being removed form much of society. Additional I had quite a different set of experiences with little to draw on to engage with others. Add in the ridicule form classmates as well as story so far along with my family history for depression and I was walking the path to live my life like my father. A lifetime loner, fighting depression, and unable to contribute to society. I had already discovered to value of physical exertion in managing my emotional health. But the weights provided a whole new level. It wasn’t just beating my body up but growing it bigger and stronger. The iron bug bit me and I loved it. The only thing that got me ‘out of my head’ was that cold bit of steel in my hands. The ability to push myself to my limits and come back and be stronger was my new drug. Kids could make fun of me and I could turn a check and come home and take it out on the weights. During training I could walk away from the world and the environment I lived in and transform into something else. I grew quickly. I went from a 135lb skinny freshman to being a 165lbs sophomore. 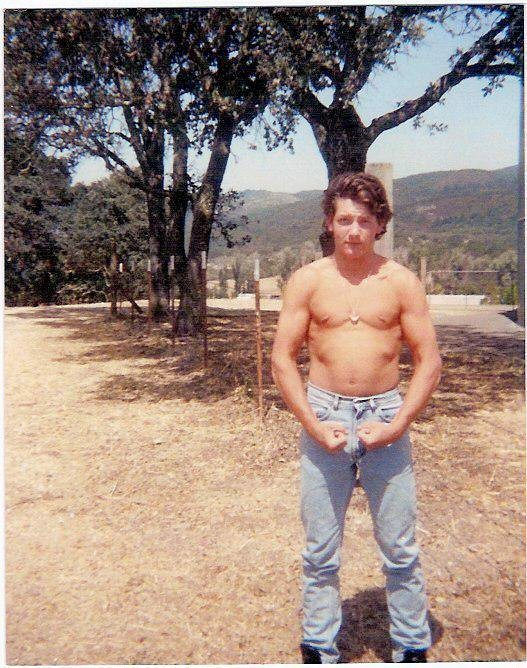 By my senior year I was the strongest kid in my high school while excelling at sports and academics. I won’t lie and say that I didn’t enjoy the differences in how I was treated almost immediately as I filled out and began to perform at sports. I wasn’t made fun of anymore, and while I was still the “quite nerdy kid” who ended up being valedictorian, I was respected. This seemed to be the last piece of the puzzle for me to transform. To blossom as the last few layers of environment are pushed aside. When I left high school it was as if I was stepping out of shell I had been in until that time to begin becoming the person I am today. Those layers of social anxiety and self-confidence issues began to melt away. While the inherited bi-polar issues will always be with me they do not own me, define me, nor impact who and what I chose to be and how I will contribute to the world. I am proud of who and what I am, and how I can harness the positive power from what is traditionally looked at as a negative. Harness it to help me excel in all my endeavors, to leave my mark and change the world for the better. Since that time I have seen a lot of success in my life. From putting myself all the way through engineering school and then my MBA all while raising my 3 sisters and working full time. To excelling in the industrial sector becoming a sough-after executive for my ability deliver amazing company/division turnarounds through my leadership and innovation. I’ve been renowned for my feats of strength and even my hobbies have been on Spike TV and in multiple magazines. 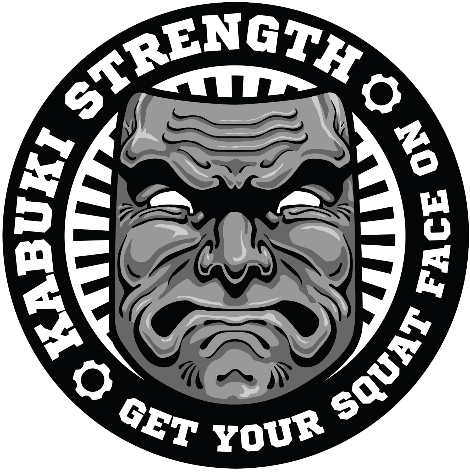 Within a year of launching Kabuki Strength my material is being used in PHD-level physical therapy and chiropractic programs, professional sports and my company is consulting and outfitting in the MLB, NFL, NBA, USOC, Tour De France, and across the College Sports. But these accomplishments don’t define me. Who I am is more easily seen in my relationship with the iron. When you see me lift and you see that burning intensity behind my eyes it may make you think “that guy is crazy”. Yes, there is a burning intensity far deeper than you can imagine, and yes I AM crazy. But I’m proud of who I am, who I have chosen to become after peeling away those layers. Proud to take all my disadvantages and turn them into strengths through purposeful action. 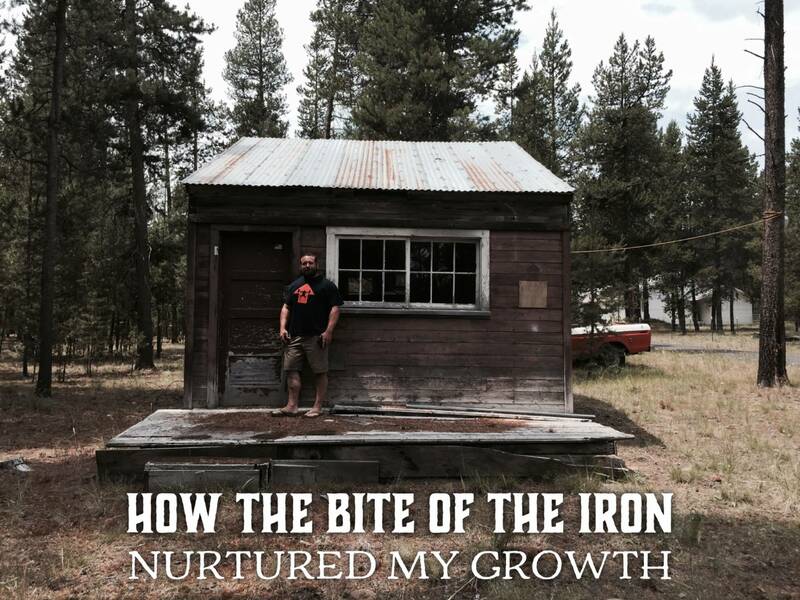 It’s pretty clear that my relationship with the iron was the fuel for the nurturing that needed to happen for me to become the person I am today. Much like I was to that pea pod vine in 3rd grade. No set of circumstances you live in, or labels, define who you are. You are not a product of your environment; you are defined by how you respond, by your choices, and most importantly the actions you take.